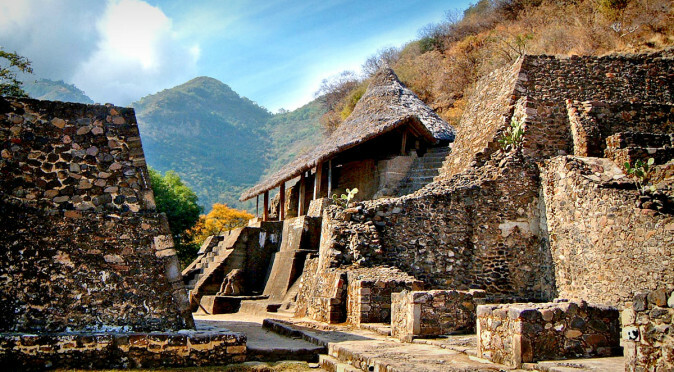 The elegant town of Malinalco is situated a little over 70 miles south-west of Mexico City, at the southern end of the Toluca Valley. 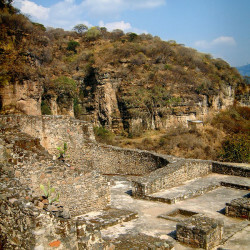 Malinalco’s history is steeped in legend and its name is thought mean “Where they worship Malinalxóchitl”, which harks back to the Aztec belief that the sorceress Malinalxóchitl was abandoned here by her brother and leader of the Mexica, Huitzilopochtlli, during their exodus from Aztlán. 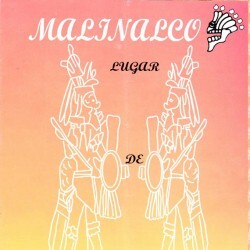 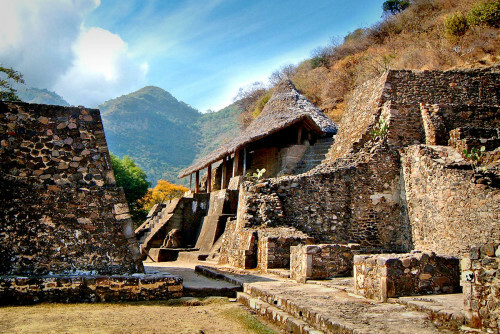 Hernan Cortes wrote about Malinalco after one of his armies failed to defeat the Malinalca because they had retreated to the sacredCerros de los Idolos (Hill of Idols), which was too steep for the Spanish cavalry and too fertile for them to lay siege to. 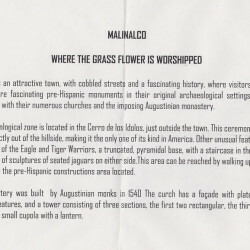 They did capture the town though, and since 1540AD Malinalco has been home to the imperious Monastery of the Divino Salvador, which was presumably built over the ancient town to assert the power of its new Christian rulers. 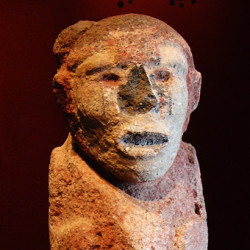 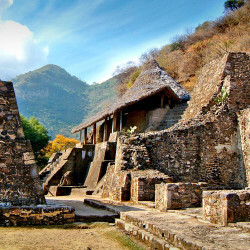 In legendary accounts, Malinalco was a very important place, but almost all archaeological evidence of its pre-Hispanic history has been lost or buried. 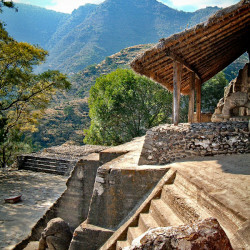 However, perched 125m above Malinalco, the Aztec ruin of Cuauhtinchan is still precariously balanced on the hillside of the Cerros de los Idolos (Hill of Idols) and reveals a little of Malinalco’s former potency. 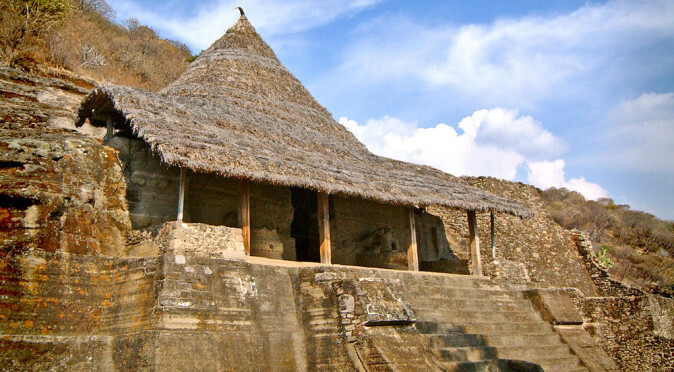 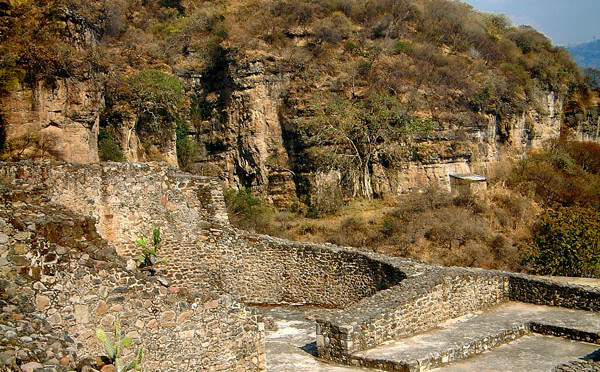 At the heart of the complex lies the Cuauhcalli (House of Eagles) which was carved directly into the hillside and remains the only known monolithic temple built by the Aztec. 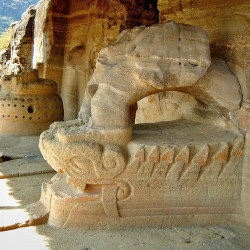 Cauachalli TempleFlanking the building and its entrance are the remains or statues that were also carved out of the rock-face as the builders chiselled back to create the temples façade. 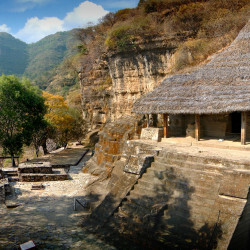 Inside, the builders carved a large circular enclosure, with a bench running around the wall which features an incredible carved jaguar pelt – which was carved as the builders hollowed out the hill-side. 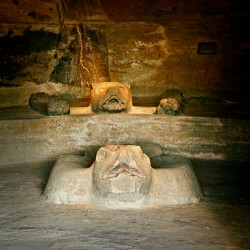 Three eagles, also carved into the rock, are found inside the temple and these are what give the temple, and the complex, its name. 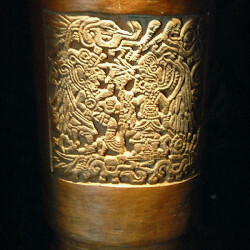 The purpose and meaning of the eagles, or the complex as a whole, is unknown, but its importance is defined by the complexity of the Cuauhcalli and its adornments, which were completed as one single carving. 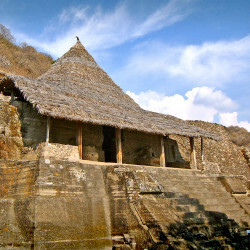 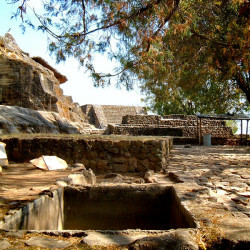 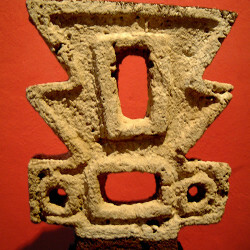 To give an idea of the effort that went into building Cuauhtinchan, work was commenced in 1501AD and had to be abandoned in 1521AD (when the Spanish defeated the Aztec) and in that time they had only managed to build 11 structures, of which at least three were incomplete – an average of over two years per building. 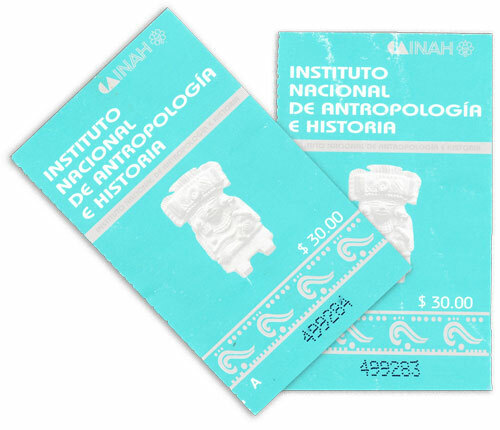 Malinalco Tickets from 2001Cuauhtinchan is one of the most incredible ruins in Mexico and despite its diminutive size the mystery surrounding the complex and the visible effort and skill that went into building it are more than enough to make the trip worthwhile. 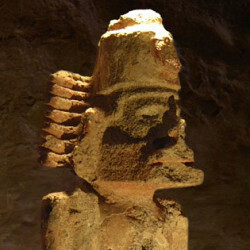 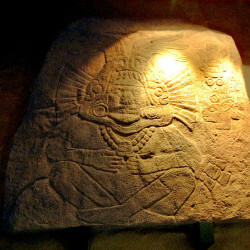 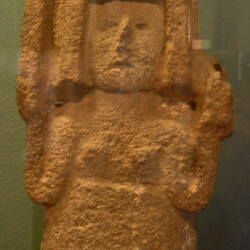 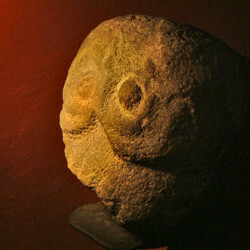 The path leading to Cuauhtinchan sets off from the west of the town, where there is also a delightful museum. 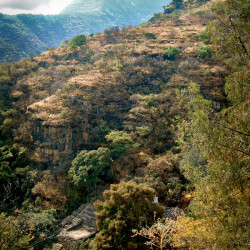 The path up the hill to Cuauhtinchan also a sight to behold, with 426 steps climbing up the steep hillside which blooms with flora and flowering trees that hang over the pathway. 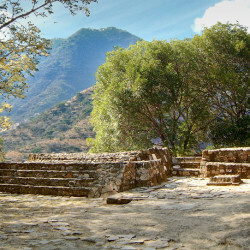 The walk up to the site and the view over the picturesque town of Malinalco is worth the effort alone. 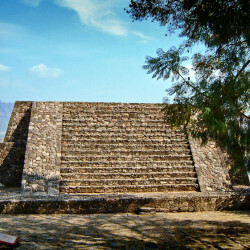 Once you reach the top you will immediately see why Cuauhtinchan took so long to build! 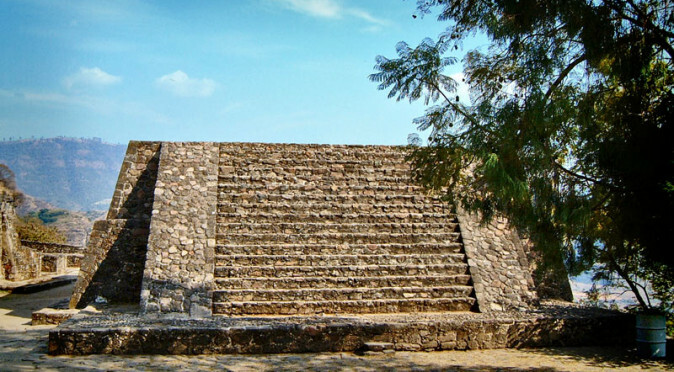 Malinalco history is largely entwined in myth and folklore and yet a few historical accounts and a small archaeological site do seem to support its legendary past.